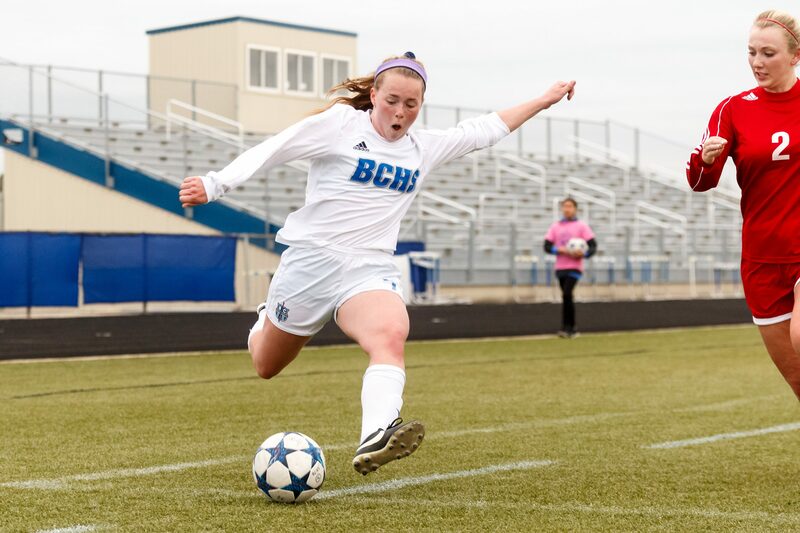 Brookfield Central girls soccer coach Dan Makal decided to take a gamble with junior Emma Staszkiewicz her freshman season - and boy did it pay off. Makal, who first saw Staszkiewicz play in the state semifinal in eighth grade, never forgot the moment. "You always want to know what your freshman team is going to be about," Makal recalled. "I saw how the other teams tried to play against her and it wasn't very effective (laughs)." So Makal watched Staszkiewicz closely when she came out her freshman season. "We had an intrasquad match and she tore some people up," he said. "So we said we were going to take a gamble. We did the year before and brought up a some freshmen (Caroline Busch, Elizabeth Busch and Sarah Pasternak). The gamble paid off for us. We always had this 'club mentality' with the program. "Sometimes you need younger kids in there to understand the culture. The long term process becomes seamless. That year we weren't super productive in goal scoring. One of our goals were to bring in strong attacking players. You could see Emma as a 14-year old surpass 17 year old kids at that time. It was like alright we can do some stuff with her." You will hear Makal use the term culture a lot when he talks about the program. "We're always trying to find a couple younger kids early," he said. "The entire program has the same culture, but on the varsity you are living it every day. Those kids are living with each other in a highly competitive and family-based environment. If you get that only as a junior and senior it's hard to get the total buy in. They need to understand the expectations. "That's a massive part of the culture. It's something that we put out there as a program and they (the team) help design - what they want for the season. Then you (the coaches) have to set the prime degree on it." Makal spoke about his strategy with Staszkiewicz her first year. "We didn't start her as a freshman," he said. "She came on as a super sub. We had players who played on top who did a certain thing and then we would bring her on and it was like 'What the hell just happened.' That was a totally game-changing concept. To see some freshman do that, that's massive. "Her early success was she found the back of the net as a freshman multiple times." Central tied for first her freshman year (2015) and she earned first-team All-Greater Metro Conference honors at forward. When asked if her early success made Staszkiewicz a marked man, Makal didn't hesitate to answer. "100 percent. Lot of times they start off double-teaming her," he said. "You (the opponent) can have her take on two players if you want to mark her out of a game. But then we're going to get points in a different way." Having talented teammates makes Staszkiewicz a better player and the Lancers a better team. "It's amazing being surrounded by players like Brandi (Thomsen), Caroline (Busch), Sarah (Knopp), Claire (Haynes) and Jenny (Cape) because they are all so good," Emma said. "It makes me work harder because we all push each other as players and it's good to have a deep team like that. No matter who you put on the field, they're going to do a good job." Staszkiewicz had an even better sophomore year, earning first-team All-GMC honors and a spot on the WSCA All-State first team, a big honor for a second-team player. She had 31 goals and 4 asists for 66 points as the Lancers tied for first place once again. But Makal is not big on scoring stats because even Emma's stats are limited because of the type of team Central is. "We only play around 15-20 games, so her 31 goals is impressive, especially since she hardly played in several blowouts," Makal said. "Against one conference team she scored 3 goals in 3:47 and she was done for the day." "When I get an assist, it's great. It's always fun to see anyone score. It's fun to celebrate - no matter who it is." Not surprisingly, Emma is focused on team goals not individual goals. "State is always our main goal," she said. "It helps (individual honors), but I don't think of that as much as I think what we want to accomplish as a team. Those are the things that pop into my mind. I want to accomplish things with them, not for myself. " "My quickness, which makes it more possible to make me score," Emma said. "The players I have play with me give me those opportunities to score, but I have the speed I need. That's how I am able to beat defenders, who want to beat me up. That pushes me more and I want to beat them more." Makal agreed with her about her speed, but he has been more impressed with another quality. "She's strong, real strong," he said. "Sometimes when Emma gets (ticked) off, I'm not sure if anyone is going to push her down. She's going to beat you to the ball. She has that second level of aggression that comes from being a competitor. That's really tough because she has pace and just brute strength to get past anybody. Determination. That's one of her biggest strengths." So what does someone this talented have to work on? "In terms of finishing, something I have to work on is placement over power," Emma said. "Sometimes I put too much on shots rather than taking the simple placement there." Makal brought out a different area. He worries about her working too hard. "Getting technical, you're not worried about her head. You want to know how long can she do this to get quality all the time," he said. "How do you replicate that and continue to do it in long bouts? "She has put her time in after practice sessions to go work individually, to get back where she feels where she wants to be. That's not a pressure thing from us, but we're there to support her." Makal talked about helping a student-athlete individually reach their potential, even past the high school level. "We're providing the kids an opportunity to go as far as they want. Not a lot of kids have that though," he said. 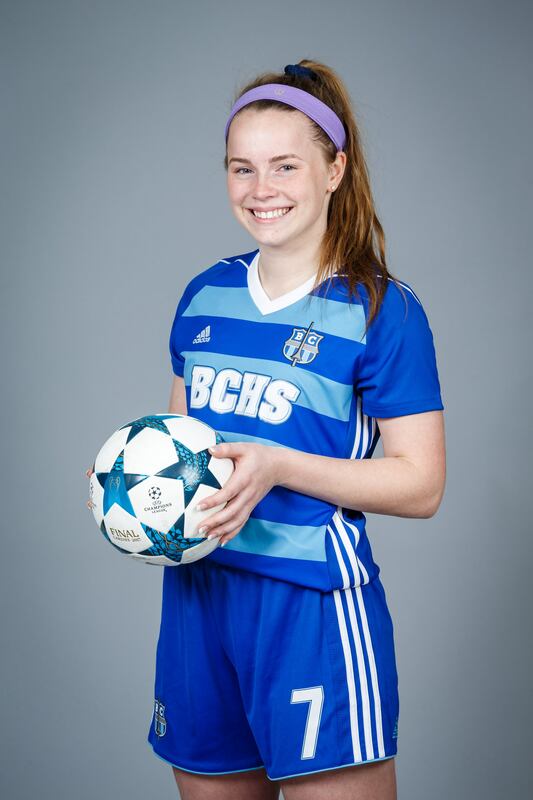 "There are kids that really want to play at that next level but do not have the natural skills as Emma does. Then there are the kids that want it so badly that they burn themselves out a little bit. "Emma is in this place that if she wants to go and play (next level), I'm 100 percent in support of her. I think she'd be a great college player. I think she can do a lot if she wants to. That's a blessing that she has because not a lot of kids have that. "You rarely come across what she has - the talent, the rawness of what she can bring." FAVORITE MOVIE: 'We're the Millers.' Comedies. FAVORITE TV SHOW: Grey's Anatomy. WHAT DO YOU DO TO RELAX? Hang with her friends. MOST MEMORABLE MOMENT: Beating Divine Savior Holy Angels as a freshman. WHAT DO YOU WANT TO DO IN THE FUTURE: Attend college and play soccer.